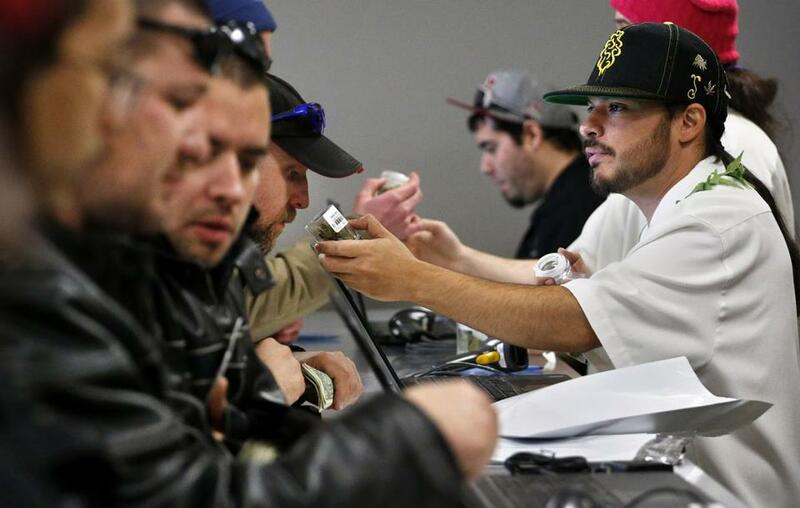 Colorado began retail marijuana sales on Jan. 1, 2014. The marijuana industry in Massachusetts will face many of the same challenges. “Big Pot” is not coming to Massachusetts. 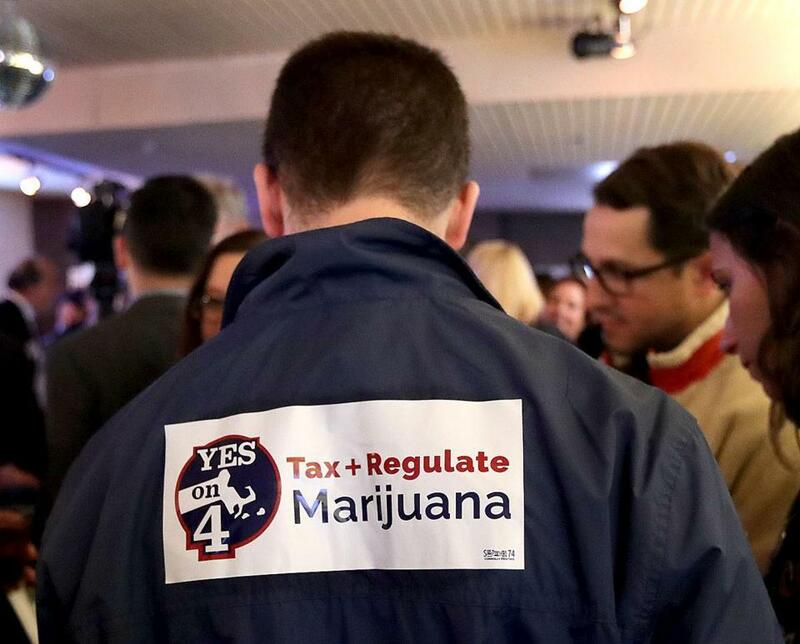 Though voters approved recreational marijuana last week, don’t expect a land rush to Massachusetts by out-of-state corporate profiteers who can quickly throw up a weed store on every corner. Instead, cannabis companies anticipate the retail market for legal marijuana here will be slow to develop and fragmented among numerous small firms, most of them homegrown startups or locally-owned partnerships with boutique pot companies from states such as Colorado. The absence of such conglomerates is due in large part to marijuana’s status as an illegal drug under federal law, which makes it very difficult for a single company to operate in multiple states and enjoy the economies of scale available to more conventional retailers. Colorado pot retailers that wanted to move into Massachusetts, for example, would essentially have to start from scratch here, building new growing and processing centers or partnering with a local cultivator. And despite pot’s much-touted upside — investment and research firm Arcview Group forecasts a $1.1 billion marijuana market in Massachusetts by 2020 — capital can be surprisingly hard to come by, again thanks to the federal prohibition, which scares off institutional investors. As a result, experts predicted most marijuana storefronts — the most visible public sign of the drug’s legality — will be run by small companies with local ties and funding from boutique investment firms or even friends and family. Existing medical marijuana facilities will also likely play a role. Some retailers may partner with experienced operators from Colorado or Oregon, but a Walmart of Weed? There’s no such thing. “Unless you’re extremely well-capitalized and have a large workforce and are willing to re-create your business, jumping to a new state is extremely challenging,” Krane said. Massachusetts was one of four states to legalize marijuana last week, bringing the total nationwide to eight. That means companies that do have national ambitions have a pick of where to open next. The biggest companies in the US pot business so far are not retailers — Colorado’s largest chain, Native Roots, has just 14 stores — but rather product companies that license their brands and recipes to dispensaries. One of the largest such firms, Denver-based Organa Brands, has licensed its “O.penVAPE” brand of liquid marijuana concentrates to a medical dispensary in Salem. Organa makes concentrates for medical and recreational uses that are consumed through a vaporizer. Organa Brands is planning an advertising push in advance of entering the Massachusetts recreational market, though president Chris Driessen said he would keep the tone of his marketing low key, to match the state’s somewhat more reserved attitude about marijuana. The immediate factor that will keep the recreational marijuana business from exploding overnight is Question 4 itself. Shops can’t open until January 2018 at the earliest. But Organa and other cannabis companies are bracing for complications as regulators and state legislators consider changes to the ballot measure that could make any business decisions they make now moot. Among the proposals in play: raising marijuana taxes to offset regulatory costs, and extending the January 2018 timeline for the first pot shops to open. Businesses also expect some municipalities will try to ban or limit marijuana activity; in Colorado, just 75 of 321 local jurisdictions allow both medical and recreational pot shops. Those in the business said the tight government control and regulatory uncertainty recalls the troubled and prolonged roll-out of the state’s medical marijuana program. “It’s dynamic. You’ve got to be flexible and patient. It’s not for the faint of heart,” said Tim Keogh, whose Colorado company is raising money for a large marijuana greenhouse and processing center in Freetown. The possibility of higher taxes is especially concerning for marijuana firms. They fear high rates will drive users back to the black market. Companies are also anxious about President-elect Donald Trump, who has sent mixed signals about whether he’ll continue the Obama administration’s hands-off approach to federal oversight. But the most immediate factor that will keep the recreational marijuana business from exploding overnight is the language of Question 4 itself. Under the new law, residents can consume and grow their own marijuana beginning Dec. 15, but shops can’t open until January 2018 at the earliest. Moreover, the law gives existing medical marijuana licensees, or a company they designate, the first shot at recreational licenses for potentially as long as one year before other firms can apply. However, some medical dispensaries aren’t sure they even want to sell to the recreational market, given the uncertainty surrounding the law’s final form. One medical dispensary, New England Treatment Access, has told patients it will seek a recreational license. But another, Beacon Compassion Center, which is opening a medical dispensary in Framingham, might not apply for a recreational license, even though it donated $5,000 to the legalization campaign, said director Steve Angelo. Columbia Care, a national medical marijuana company operating two dispensaries in Massachusetts under the Patriot Care brand, has a more complex outlook. It is only interested the medical side of the business, yet it is considering seeking recreational licenses in order to serve patients who are wary of registering with the state as medical marijuana users. “If someone comes to us and they want additional privacy, I don’t want to be in a position where we can’t help them,” said Columbia Care chief executive Nicholas Vita. Despite the long road ahead, cannabis companies are hopeful they’ll eventually be rewarded in Massachusetts. Driessen envisions the state becoming a major center of so-called “canna-tourism” that draws people from all around the populous Northeast region, as it and Maine are the only East Coast states to have legalized pot. Dan Adams can be reached at daniel.adams@globe.com. Follow him on Twitter @Dan_Adams86. Adam Vaccaro can be reached at adam.vaccaro@globe.com. Follow him on Twitter @adamtvaccaro.